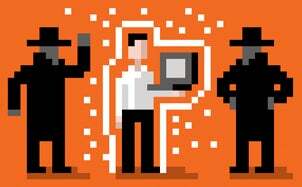 Simple security: In last year's roundup of best free stuff, the beta version of Microsoft Security Essentials 2 impressed us. Since then, Microsoft has officially released the utility to the public, and our admiration has only grown. With its combined antivirus, antispyware, and firewall protection, Security Essentials provides a solid layer of protection against the most common threats without hobbling your PC or nagging you with annoying update reminders. File killer: When you delete files from your PC via the Windows Recycle Bin, Windows marks them as erased and hides them from view; eventually it fills the drive space they occupied with newly created or downloaded content. To get rid of data right away, use Eraser, a free file-deletion utility that works with DoD-grade algorithms to overwrite deleted data repeatedly until it's practically unrecoverable. Facebook defense: Facebook is fun, but it's also rife with malicious links that can damage your PC and compromise your private data. Defensio for Facebook intercepts those threats and alerts you before they can do any harm. Secunia PSI examines your system for programs that need security updates, and points you to the required patches. Software updater: Now that almost every PC application can access the Internet, dozens of potential security holes lie scattered across our systems. 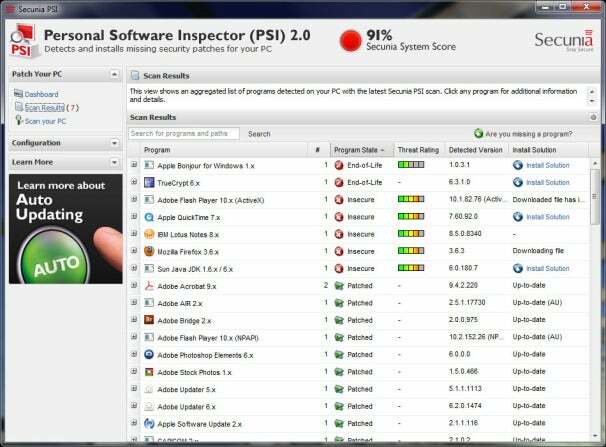 Secunia Personal Software Inspector helps mitigate the risk by searching for important security patches for every program on your PC. When I ran it, PSI found seven outdated programs on my machine, and pointed me straight to the download links for the updates I needed. Suddenly I feel much more secure. USB protection: How much do you trust the USB drive that your friend wants to plug into your PC? If you use Panda USB Vaccine, you don't have to take anything on faith. This simple utility automatically neutralizes common flash-drive threats to keep malware from making the jump to your hard drive. Password keeper: You want to get to the Websites you use without stopping to recall a dozen unique passwords every day, but using the same password at multiple sites is a good way to compromise your data. Password Safe gives you the best of both worlds by storing all your logins and dropping them into the sites you visit as needed. As a result, you can maintain as many different, complex passwords as you need while having to remember only one master password to rule them all.